Kelly is a dynamic and inspiring Catholic author and speaker, and the founder of WINE: Women in the New Evangelization. She is the assistant director for the Archbishop Harry J. Flynn Catechetical Institute in the Archdiocese of St. Paul and Minneapolis. Kelly is a contributor to CatholicMom.com and The Integrated Catholic Life. She is the author of Created to Relate: God’s Design for Peace and Joy, and created and editor of Walk in Her Sandals: Experiencing the Passion of Jesus through the Eyes of Women. Kelly travels around the country speaking about the joy of the New Evangelization, particularly the role of women in the New Evangelization. She lives in Minnesota with her husband, Andy, and their three children. Teresa is a motivational speaker, best-selling author, and the host of the daily morning show Catholic Connection on Ave Maria Radio. Teresa also cohosts the weekly EWTN-TV series The Catholic View for Women. Teresa has been featured on national news and talk shows discussing matters of faith, media awareness, and Catholic Church teachings especially as they relate to the culture and women. She is the author of multiple books, including her latest Girlfriend’s and Other Saints: Companions on My Journey of Faith and is a contributing writing for Walk in Her Sandals: Experiencing the Passion of Jesus through the Eyes of Women. Teresa is a speaker, author, and board member for WINE: Women In the New Evangelization. She lives in Michigan with her husband, Deacon Dom. Paul Badde is a renowned journalist, historian and best-selling author. His book, The Holy Veil of Manoppello: The Holy Face of God (Sophia Institute Press), presents an update on the veil that covered Jesus’ face while he was in the tomb. Paul’s initial book on this subject, The Face of God: The Rediscovery of the True Face of Christ, was a well-researched, riveting page-turner. After years with the Frankfurter Allgemeine Zeitung, he became a foreign news correspondent for Die Welt, reporting first from Jerusalem and now from Rome and the Vatican. Among his books published in English are Maria of Guadalupe: Shaper of History, Shaper of Hearts. Paul will be meeting us in Manoppello where we will see the burial cloth that bears the likeness of the Face of Jesus. Joan has lived in Rome for more than three decades, during which she has worked for or covered the Vatican as a journalist. Fluent in several languages, Joan has been a member of several high-level Holy See delegations to the international conferences, covered numerous papal trips, one papal funeral, one papal resignations, two conclaves, and the canonizations of Sts. JohnXXIII and John Paul II. Called “Rome’s Joan” by her many friends in the Roman Curia, she is often a guest on Catholic radio and a guest lecturer in Rome and in the United States. 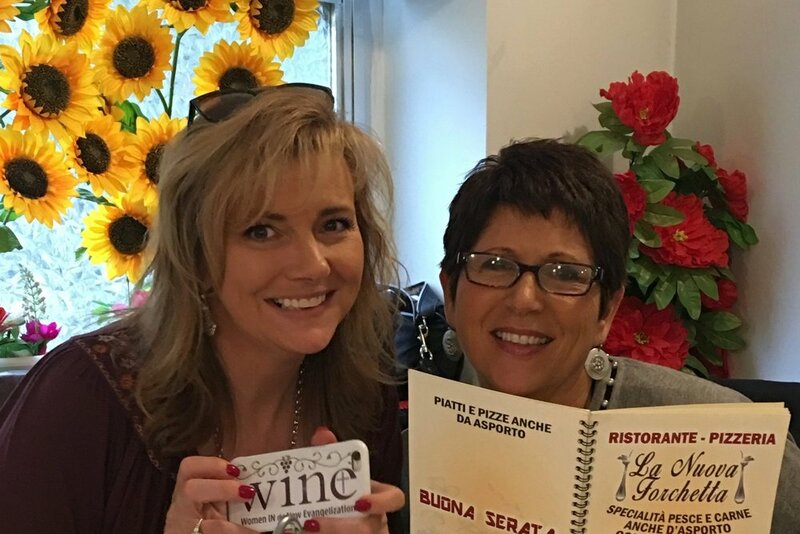 Joan is a contributing writer for WINE: Women In the New Evangelization, and her latest book A Holy Year in Rome: The Complete Pilgrim’s Guide for the Jubilee Year of Mercy is a must have for any person planning a pilgrimage to Rome.